Not quite sure which carpet cleaning products to use on the different carpet styles and fibres? Agar has compiled a quick reference guide to take out the hassle and make the choice easy! The below chart includes a range of different carpet styles as well as fibres to ensure you pick the right carpet cleaning product. 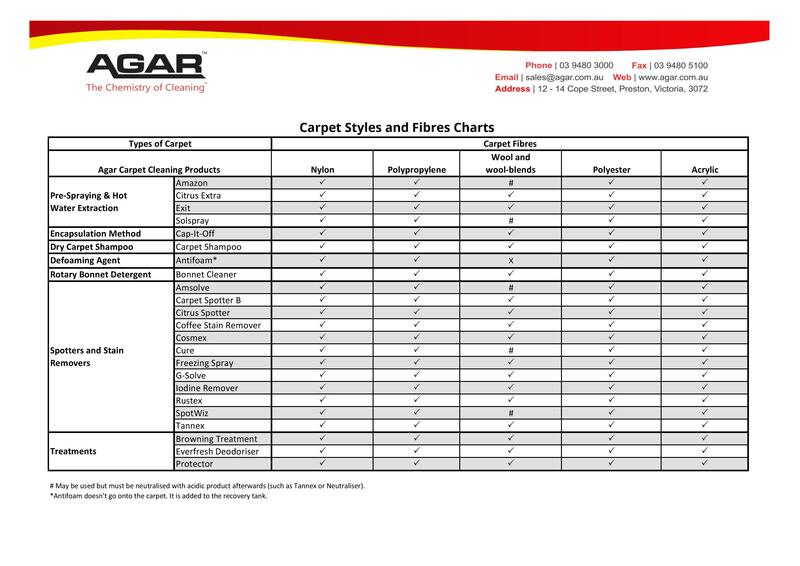 To view Agar’s Commercial Carpet Cleaning Product Range please click here. 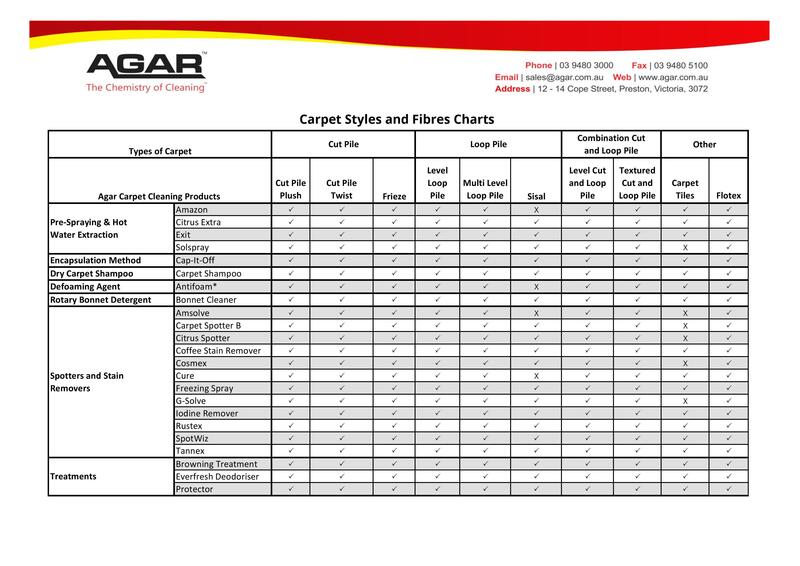 Agar also has a Carpet Spotting Chart which highlights an extensive range of stains and the correct spot treatment for removal. Click here for to view. See the Carpet Styles and Fibres Charts below or click here to view or download. To find our more about Agar’s Carpet Cleaning products or any of its other commercial cleaning supplies, please contact us via sales@agar.com.au or call 1800 301 302.